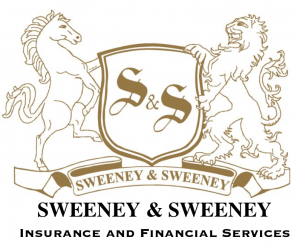 Sweeney & Sweeney Insurance and Financial Services has been providing top quality, reliable insurance solutions to individuals, families, and businesses of all kinds. Our agency specializes in employer sponsored plans and individual and family plans, including Covered California. We can be your go-to resource, offering advice, guidance, and answers to all of your questions! Our certified agents are truly dedicated to helping each and every customer. This means that whether you wish to explore your options through the State Exchange via Covered California or you want to offer a more comprehensive group benefit plan to your employees, you have come to the right place. Every person, family, and company has distinct insurance needs, so, we believe that you deserve insurance protection that is customized just for you. In order to make sure your insurance makes the most sense for your lifestyle or business needs, our agents will get to know you on a more personal level. That way, we can identify and fulfill gaps in your coverage and make sure they are taken care of. Since we are an independent insurance agency, we have the ability to shop across a range of insurance carriers. This allows us to find or design an insurance package that meets your needs and your budget. As a Sweeney & Sweeney Insurance and Financial Services customer, we will work above and beyond on your behalf. We believe that a big part of your peace of mind involves understanding what you are and are not covered for. In order to make sure you have the right policy for you, we’ll take the time to explain your options, as well as what exactly your health or life insurance package includes. That way, you can feel secure and confident in the insurance protection you purchase. Learn more about your insurance options today by calling our office at 530-895-5260. To better serve our community, our Agency also has Spanish speaking team members. We look forward to working with you!